Verizon has shared details for an upcoming Galaxy Note 10.1 software update that will bring Samsung's WatchON app to the device. The service, which comes pre-installed on many Samsung devices, turns your phone or tablet into an interactive TV guide. It comes with a universal remote for channel surfing, simplifies searching for shows, and enables you to watch some content across multiple devices. This functionality comes bundled as a part of software version JZ054K.I925VRAMK1. 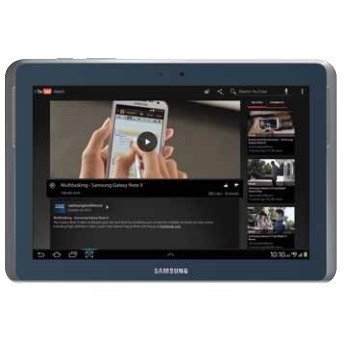 The other included software, S Educate, provides access to thousands of videos and encourages you to take notes or test you prowess using the tablet's included S Pen. It may not be the most exciting service out there, but it's a nice way to justify buying a device with a fancy stylus. Even if, in this case, you likely bought the tablet quite a while ago. 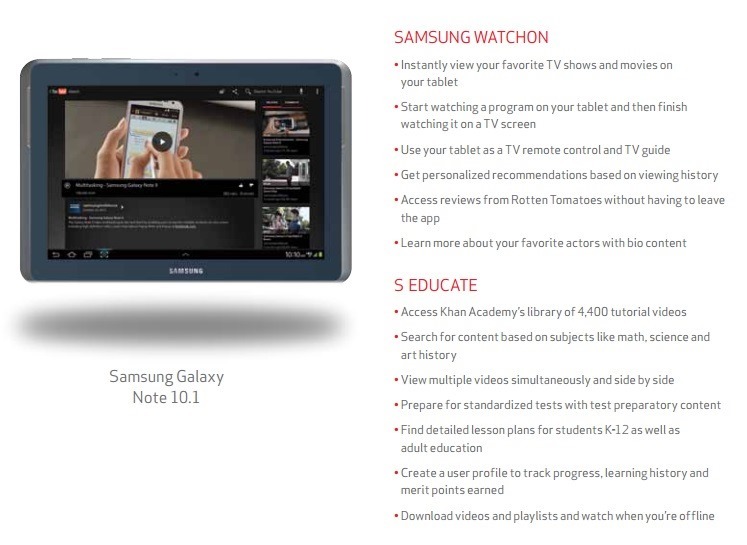 Verizon hasn't provided a timeframe for the update, but in the meantime, here's a primer on WatchON for tablets.